Teens ages 12-18! 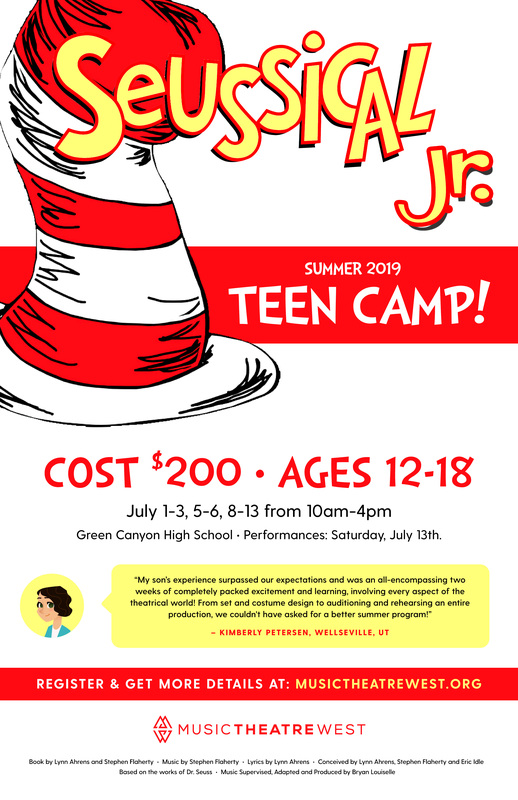 We can't wait to see you this summer for a two-week intensice workshop production of Suessical Jr.! We will produce the show from audition to performance in jsut 10 days! We will rehearse July 1-3, 5-6, 8-13th from 10am-4pm and then perform the show twice on Saturday, July 13th. Tuition cost is $200. Want to Get the Latest News From Music Theatre West?